I don’t usually enjoy photographing in bright sunlight. It was supposed to be a cloudy day, but there were no clouds for the sun to go behind. My husband pointed out that there were interesting abstracts to find. 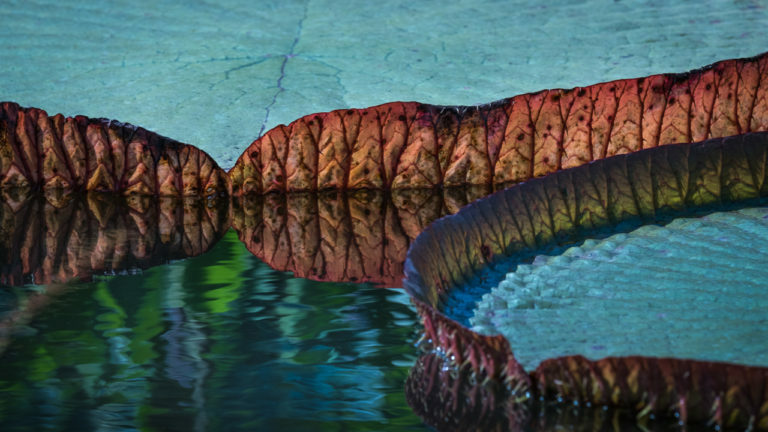 I used my Fuji 55-200mm lens to zero in on this abstract of the Giant Water Lily pad. The colors, reflections, and textures were amazing. 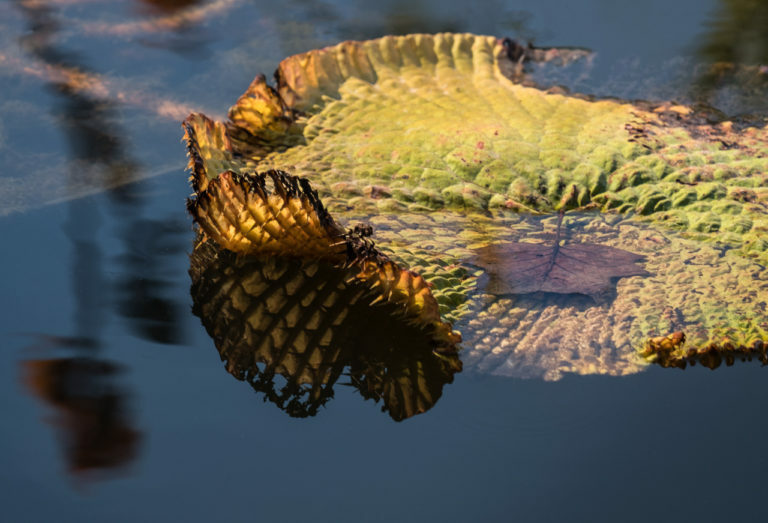 The fading lily pad below had textures that reminded me of a pineapple and had the added bonus of a leaf floating in it. I liked the patterns of the leaves in this shot. 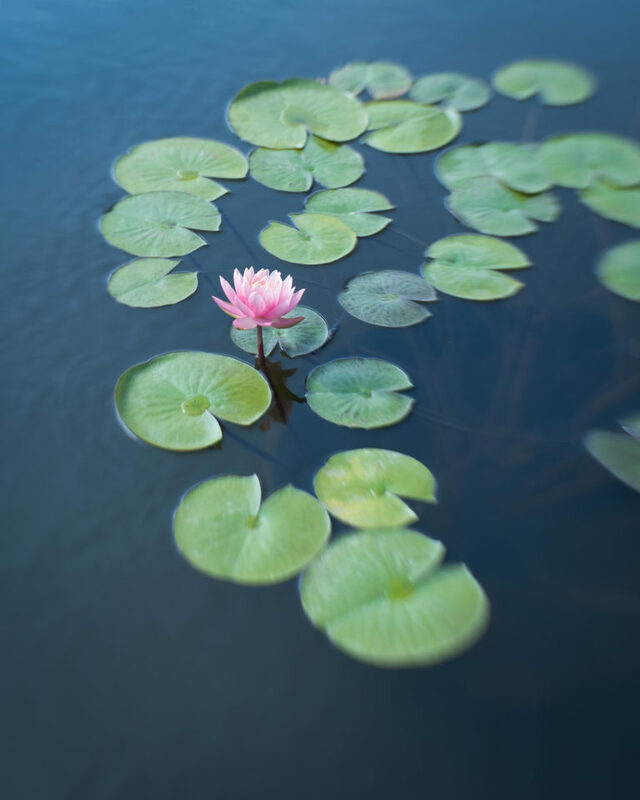 The leaves really stand out in a peaceful way on the blue grey water and the water lily gives a pop of contrasting color. I used my Lensbaby Sweet 35 to blur the surrounding leaves and draw attention to the flower. 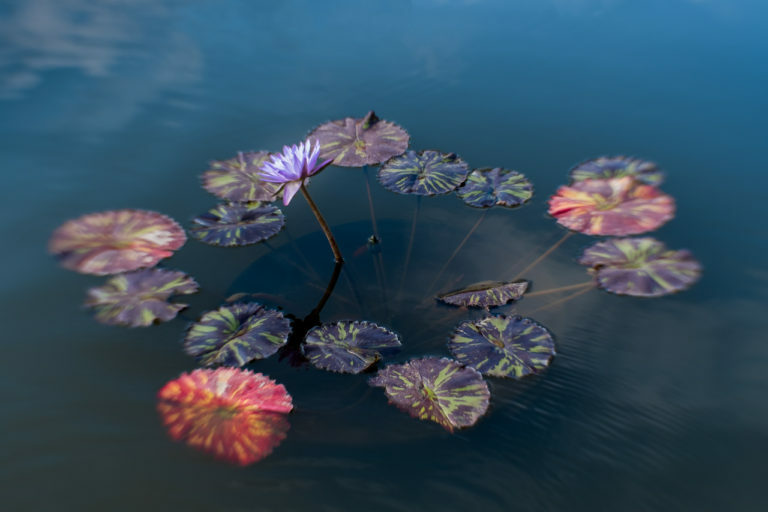 The regular water lilies had much more colorful leaves than they do in the summer. Photographing in the bright sunlight emphasized the patterns in the leaves. I used my Lensbaby Sweet 35 lens to highlight the flower and downplay the age spots on the leaves. Nice, Bonnie! The colors in the bottom image are really interesting. I don’t recall seeing that before.